The longer-serving mayor in Oklahoma City's history won't throw his hat in for a fifth term. Mick Cornett announced on Wednesday that he will not seek reelection in 2018. 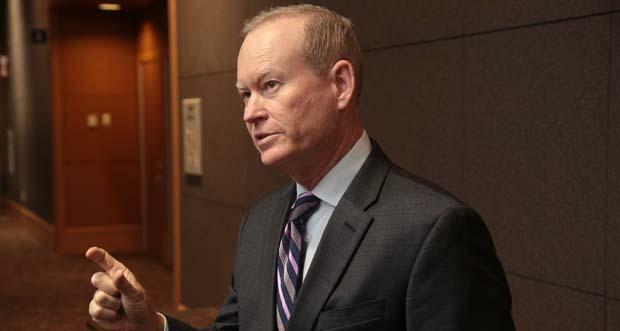 Cornett has served in the office since 2004 and is the city's first four-term mayor. He will leave office next April. Cornett is in the longest-serving mayor among the country's largest 50 cities. He is also the president of the U.S. Conference of Mayors. His term at the head of that organization will end this June. Cornett says Oklahoma City has come a long way in the last two decades. “The rest of the country has been keeping an eye on Oklahoma City. Many people have flown in here to see what we’ve done and to try and grab some of that magic potion and take it back to their city and see they can duplicate it,” Cornett said. Cornett has presided over a period of change for Oklahoma City, which saw the city attract the NBA's Thunder franchise. He has helped guide MAPS 3, which includes the whitewater recreation area and a senior health and wellness centers, among other additions. Cornett says he still has work to do over the next 13 months. “We know that we’re going to have an opening at one of our first senior wellness centers. We know we’re going to break ground on the park. And I know we’re going to have a big infrastructure package. Hopefully it will address the streets. I would to leave office knowing that our infrastructure needs have been addressed," Cornett said. A mayoral primary is scheduled for next February 13, with a general election on April 3, 2018.